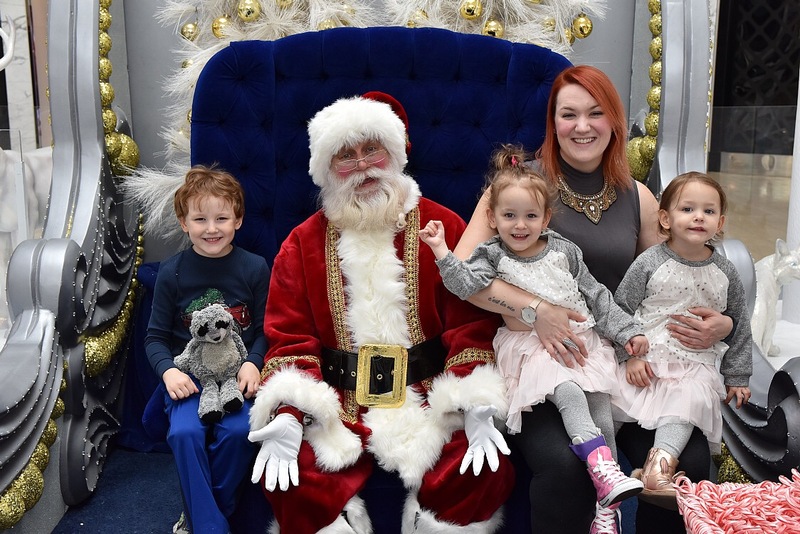 This weekend we went to get our Santa picture done as a family and I made sure that we were there before his arrival to avoid massive lines and irritated children. After waiting for some time, Santa’s elf approached us, and I assumed was going to welcome us as we were next in line, Ella in my arms; however, she informed us that another family was going to go first because their child had autism. There was kind of a quick ask in there, mostly assuming I wouldn’t say no, and of course I didn’t, but I was slightly confused by the interaction. To be clear, they asked one child with special needs to make way for another child with special needs. I’ve been pondering this since it happened and it’s left me perplexed. My best guess is that there had been a request and they complied. Maybe they noticed Ella’s AFOs, maybe they didn’t. Maybe they couldn’t tell how heavy she was or how she had to be propped up on my lap and held onto tightly. Maybe they didn’t really notice that the kids were starting to get antsy and bored waiting, but I did, and others must have. I’m sure they didn’t mean to make us feel left out, a feeling all too familiar. But to be left out of a group that we are a part of is disappointing. To not receive a thank you or even a nod from the mother, who instead seemed annoyed, not thankful. To feel like their child deserved to go first because that’s what we’re told. But my child also deserves to feel like other kids-seeing Santa and being excited. She doesn’t need to be made special or different because she is already special, as are my other two children, and the day was special. When I see her smile in the photo and I hear her talking about seeing Santa, I am so filled with love for my girl, who is strong willed and loving and really sees the world so full of magic and rainbows, and I’m just lucky enough to see it through her eyes. And no matter what happens, what people see or don’t see, say or don’t say, we will always have those special moments together and at the end of the day, that’s what fills my heart. This entry was posted in Mamahood, The beginning and tagged adaptations, ASD, cerebral palsy, divorce, hydrocephalus, identical, momo, mono mono, motherhood, parenthood, parenting, preschooler, school age, separation, single mom, single parent, special needs, special needs parenting, twins. Bookmark the permalink. Sorry you had to experience the little-known ranking of disability in the wider world. Not excusing the mom, who could have been a bit more appreciative (but was probably wishing that her child would look at the camera and seem happy). The bigger issue is that the general community is more attuned to autism; they have done a lot of PR, so it is “out there”. There isn’t a lot of sensitivity to other issues, visible or not. Unless your child is in a wheelchair, people can’t “see” the challenges to the child or the parents. Go ahead and ask, and then show your appreciation with heartfelt thanks to anyone that tried to help. People will learn from you! I agree that people are so much more familiar with autism and are beginning to understand that things like line ups and bright lights and people are extra hard for them, but I agree with you that within our own community, it doesn’t take much to recognize each other; a simple mouthed thank you is more than enough, or even a nod to acknowledge we know we’re both fighting battles that others may not know are there.